An epic musical drama and romance, The Sound Of Music is a flawlessly executed old-fashioned celebration of love and hope blossoming in the most unexpected places. It's the 1930s and free-spirited music-loving Maria (Julie Andrews) is struggling to fit in as a nun-in-training at an abbey on the outskirts of Salzburg. The Mother Abbess (Peggy Wood) asks Maria to try life as a governess instead, helping the family of widower and distinguished navy veteran Captain Georg von Trapp (Christopher Plummer) and his seven children. A staunch Austrian nationalist living in an impressively grand mansion, the Captain is a strict disciplinarian who fires governesses for fun. Maria has to work hard to introduce affection and joy through music to the lives of his children. They vary in age from 16 to five, with the eldest Liesl (Charmian Carr) starting an amorous relationship with telegram delivery boy Rolfe (Daniel Truhitte). The Captain comes back from a trip to Vienna with his wife-to-be, the very rich Baroness Elsa von Schraeder (Eleanor Parker), as well as family friend and musical talent spotter Max Detweiler (Richard Haydn). Despite frequent verbal sparring the Captain and Maria start to fall in love, much to the consternation of the Baroness. But then the dark shadow of Nazi Germany, as represented by local collaborator Herr Zeller (Ben Wright), starts to descend on Austria, threatening the family's new-found happiness. 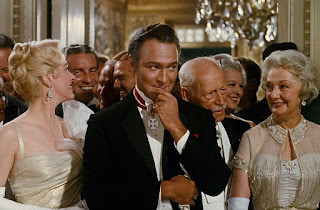 An adaptation of the 1959 Broadway show with music by Richard Rogers and lyrics by Oscar Hammerstein II, the film is directed by Robert Wise with an eye to perfect framing and glossy postcard-style visuals. The story is loosely based on the adventures of the real-life von Trapp family as recounted in a book written by one of the daughters, and carries enough stranger-than-fiction drama to propel the film's 174 minutes. Despite musical repetition creeping into the last hour, The Sound Of Music never drags and effortlessly breezes by. With a voice carrying immense range and crystalline beauty, Julie Andrews unleashes inexhaustible energy as Maria. Her wide-eyed, pragmatic and stand-your-ground portrayal of a young woman venturing into a new world of marble columns and grand estate rooms is a large part of the film's appeal. Maria cannot help but speak her mind, a trait she is keenly aware of, and as it turns out her outspokenness is exactly what is needed to puncture Captain von Trapp's aloofness. Christopher Plummer has a lot less to do as the Captain, but creates the cold canvass on which Andrews pours her warmth. 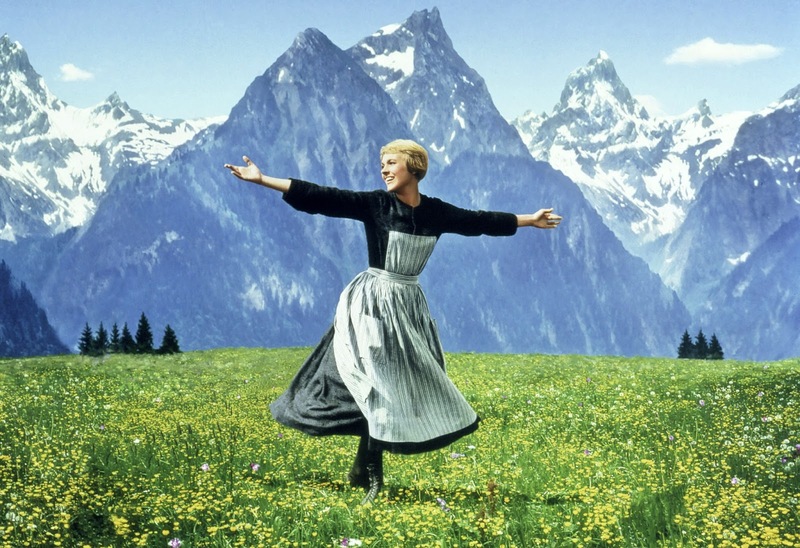 Despite the story, the acting, the sweet children and the menacing Nazis, The Sound Of Music is first and foremost all about the music, and the soundtrack is one of the all-time classics in the history of cinema. Yes, the tunes and lyrics are simplistic, cutesy, hummable and laser-targeted at parents and their younger children. But songs like Do-Re-Me, Sixteen Going On Seventeen and My Favorite Things are undeniably catchy and adorable, and immediately evoke Wise's lush visuals of the breathtaking Austrian countryside and Salzberg's idyllic appeal. And Wise does find some exquisite emotional highlights through the music. The Captain's rendition of Edelweiss to his family is an affecting moment, while the Something Good duet is a pure expression of mutual love. The Sound Of Music casts a family-friendly magic spell, and the film's sense of pure enchantment is easy to love.